NEO.bet Sports – A Professional Service for Professional Punters? NEO.bet Sports is a vibrant new bookie masterminded by a German group with significant gaming experience. Their tagline is ‘From pros, for pros’ and it is clear to see that this operation know what they are doing. Licensed in Malta, but primarily serving the German market, NEO.bet are looking to make themselves competitive by providing a comprehensive and attractive service to punters. Although they have just started out, the quality is there for bettors to see. Sign up to NEO.bet below to receive a range of benefits. Only available to customers in Germany, Austria, Malta, Netherlands. NEO.bet Sports have focused their attention on all of the big sports that punters love to bet on. It is quality over quantity, and they offer football, tennis, basketball, ice hockey, handball, volleyball, American football, snooker, cricket, rugby union, rugby league and boxing. Next to each sport is a handy number which shows how many bets are available for that particular event, and not surprisingly, football takes up the overwhelming share of bets on offer. Second most populated are basketball and American football, but obviously, the sports below football will change depending on the time of year, tournament etc. Ice hockey and handball are both sports that are popular in the countries that NEO.bet Sports are currently aiming their service at, and there are games from Germany, Austria and all of the Scandinavian countries. Unsurprisingly, this bookie has also devoted resources to offer a range of markets for each NHL game in the USA. By clicking on the game, a new screen will appear on the side of the page with all of the additional bets available to customers. Depending on the sport, these typically include additional lines on top of the bets available on the homepage (i.e. a variety of different Asian handicaps), in addition to a variety of prop bets that give customers the chance to win big. We love bookmakers who give their customers the chance to win by providing fair and competitive odds. NEO.bet Sports definitely fall into that category and they seem to be a real bookmaker, laying proper bets at proper odds. It is nice that when you strike a bet, the bet slip allows customers to adjust their winnings amount so they can determine their stake from there if they wish. We found the whole interface, content and functionality of the main sports betting page to be fantastic, and NEO.bet are true to their word, providing strong markets to their clients. When signing up for an account, NEO.bet Sports give fresh customers two options in terms of a bonus – A pro bonus or a starter bonus. Once selected, the bonus must be turned over 5 times at minimum odds of 1/2 1.50 -200 0.50 -2.00 0.50 before it can be withdrawn. Bettors have 100 days to satisfy the rollover requirement. In today’s climate, these terms are pretty favourable to the punter; many bookmakers now impose unrealistic rollover requirements in order for players to make their bonus withdrawable, but NEO.bet have given bettors a fair chance – kudos to them for that. In addition to the enticing sign up bonuses, NEO.bet Sports have also an original and punter friendly ‘chip’ system that enables bettors to continue to obtain concessions from the bookie. Every time a bet is struck, the customer is rewarded with chips. The amount of chips is dependent upon the stake. If the bet loses, then double the original amount of chips is added to the balance. So for instance, if a client places a €10 bet they will receive 10 chips. If that bet is unsuccessful then another 20 chips will be added on. Customers are able to cash in the chips when they have a sufficient amount and can receive bonuses to place on sports. This promotion is fantastic, as it is weighted to favour those individuals who are on a losing run by giving them the opportunity to get a decent bonus and get back in the game. Good news for punters – NEO.bet Sports have a number of different payment options that make funding your account easy. Bettors can deposit and withdraw from their betting account instantly using a Visa or Mastercard. There is no fee for either deposits or withdrawals and lucky punters can pull out a maximum of €20,000 in one go. Bank Transfer Free 2-3 Days €10 - No Max. Many bookmakers are now integrating online banking into their list of payment methods, and NEO.bet have utilised the services of Sofort Banking to facilitate instant bank transfers. Customers can only deposit using Sofort banking and will get paid out another way. NEO.bet also offer the increasingly popular e-wallets Skrill and Neteller, which allow bettors to transfer money back and forth from their betting accounts without the funds having to hit their bank. Interestingly, a nice feature that this bookie have introduced is the option to deposit via Neocoin. Essentially this is virtual money that has been created to give players the opportunity to try out the website for free before they decide if they want to use it. This is a great feature as NEO.bet clearly believe in their service and it makes punters comfortable with the service before they use it for real. Overall, NEO.bet have a great range of deposit options for their customers. Who Can Sign Up to NEO.bet? NEO.bet Sports have followed the modus operandi of many new bookmakers and have only made their service available to residents of a select few countries, to begin with. Often the reason for this is to prevent a deluge of new accounts and bets that the firm is unable to deal with (both in terms of total bet amounts but also from an administrative perspective). As NEO.bet Sports grows, there will undoubtedly be an opportunity for players from other countries to open accounts, but at present, the service is only available to those who reside in Germany, Austria, Malta and the Netherlands. NEO.bet have opted for the use of live chat when it comes to their customer service contact point. A nice feature of the live chat is that if there is no representative available and a customer leaves a message, then a pop up appears giving them the option to receive an SMS or e-mail when a representative becomes available and is ready to chat. When conversing with a representative, it soon becomes apparent that they possess significant knowledge of the service, different bet types and rules etc. The staff are friendly and wait times are short. If a customer wants to solve their own query, they can visit the FAQ section or check out the betting rules, where sometimes they will find their answer. 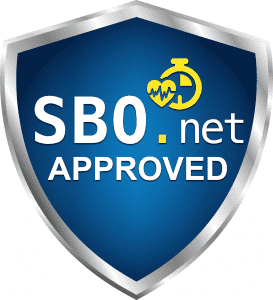 Here at SBO.net, we believe having a functional, effective and well-designed mobile or web app is absolutely essential for the modern bookmaker. With such a shift in the market to the majority of people placing their bets on their phone or tablet, it is essential to get it right. NEO.bet are yet to have a downloadable app, but their mobile optimised website is absolutely fantastic and gets the thumbs up. Loading is lightning quick and the homepage has been designed with that German engineering which produces speed, quality and reliability. At the top of the page, customers can access support, pick their desired language (English or German), or flick between pre-match and live betting. The main section of the page is populated mostly by upcoming football matches from around the world. The teams are listed on the left-hand side and the odds are on the right-hand side. Naturally, the screen is a little more compact than the desktop site, but that doesn’t mean that they neglect all of the markets for each game, and with a simple swipe left, punters can see the 1X2, total goals, Asian handicap and much more. The live betting is great. When clicking on a match, customers are redirected to all of the available odds for that game, and there is a slick graphics bar at the top of the page which relays all of the important match info. If users wish to flick between sports, they can simply click on the link on the horizontal bar, or alternatively can access the search bar and type in their desired match. It doesn’t matter whether you are viewing the NEO.bet Sports site from an iPhone, Android or tablet, the content is well laid out, all of the functionality of the main website is available and to put it frankly, we are very impressed. Most new bookmakers come with plenty of flaws in their operation. Of course NEO.bet are not the perfect bookmaker, none of them are. But they do have very solid fundamentals, which is testament to the experienced team who have helped develop the service. Every aspect of this bookmaker has been well thought out, and the responsive and intuitive website helps bettors find their desired markets in no time. The way the different bet types have been compiled and presented, suggests that this service will be of particular interest to seasoned bettors, but that is not to say that novices can’t also enjoy the service. We would highly recommend NEO.bet and expect them to get better and better over the forthcoming years.